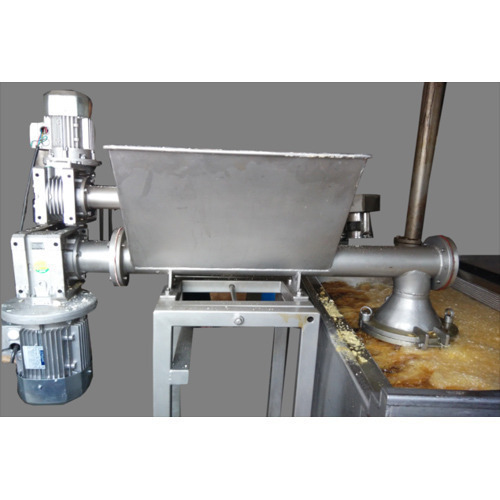 You can make huge volumes of sev effortlessly in a short span of time using our Sev making machines Made of industrial grade stainless steel, this machine comes fitted with pulley belt and chain mechanism for consistent quality of operations. The machine dimensions can be customized according to the need of the clients. The energy consumption is really low and the USP is its amazing functionality. The hydro based oil extracting mechanism is fitted to eject oil/ water from the lower side. All the parts that handle the sev are Teflon coated which prevents the dough to stick. Made out of rust proof SS.